Active control is a general definition embracing different kind of applications. We are specialized in the aeroelastic control, meaning the use of conventional control surfaces or new dedicated ones to improve the aeroelastic response of aircraft. Typical problems afforded are Gust and Maneuver Loads alleviation. 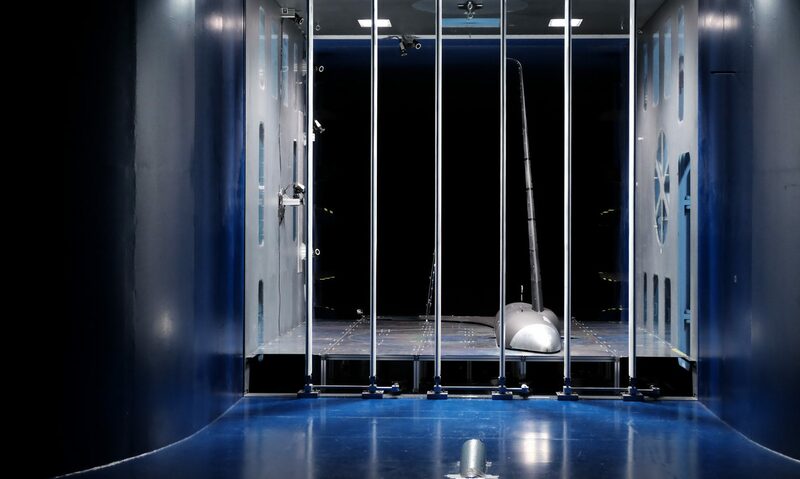 From the customer perspective it is important to highlight our capability to cover the entire design loop, from the aeroelastic model, to the control system definition, as well as to the hardware real-time implementation when wind tunnel test activity is foreseen. In particular, for the real-time aspects, we used the RTAI application for Linux. Finally, our tools, based on our NeoCASS and NeoRESP suite allow us to design and analyze the complete aeroservoelastic system, in both time and frequency domain, and to develop dedicated MIMO and SISO control systems. The following pictures show a very complex, fully aeroelastic Wind Tunnel model called X-DIA reproducing a future 30m span unconventional regional aircraft, featuring a three surfaces configuration and a forward swept wing. The Wind Tunnel model is equipped with four control surfaces (2 leading and 2 trailing edge) for each half wing, plus an all movable canard. The model is installed in a free-free configuration inside the Large Wind Tunnel of Politecnico di Milano (Italy). 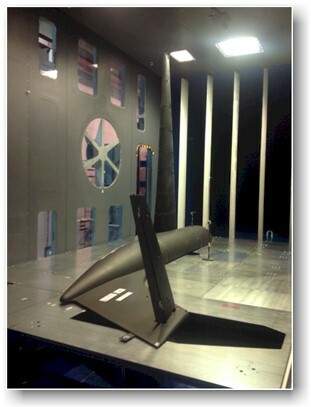 In the following video, the half wing of X-DIA model is tested in the small wind tunnel at Department of Aerospace Science and Technology of Politecnico di Milano, to test an ad hoc developed system for modal control. After the first 10 seconds of free aeroelastic response the control is switched on to damp the first bending and torsion modes using all the 4 control surfaces. The most challenging activities where we have been involved recently is the design, manufacturing and test of Gust Load alleviation systems on a large Wind Tunnel model, represented in the following pictures. 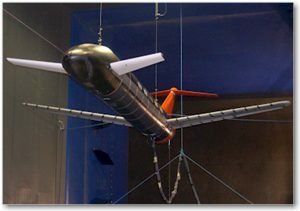 It is a half model, in free-free configuration, equipped with two ailerons and the elevator, all of them used to minimize the gust loads generated by an ad hoc designed gust generator.